Hot tub and wet leisure specialists who are planning to promote their products at Leisure Industry Week in September have been informed that it has now been rebranded as the BodyPower: Fitness Trade Show. This year the former UK Pool & Spa Expo and Hot Tub Living Expo exhibitions run by New Events have been scheduled to be combined with Leisure Industry Week (LIW) on September 12 and 13 in Hall 1 of the Birmingham NEC as part of the effort by organisers to create the ultimate gathering of fitness and wellness under one roof. Organisers of the newly-named ‘BP: Fitness Trade Show’, being proclaimed as the largest indoor consumer fitness event in the world, have now announced that they have recharged LIW with the rebrand and a shift in focus that they declare will engage with the fitness sector like no other show on offer in the UK; in an effort to attract thousands of trade visitors to the NEC with a new offering that includes representation from the wet leisure sector. The main focus is to deliver an extensive exhibition with over 100 innovative brands that offer fitness solutions to various markets, including, Personal Trainer Studios, Independent Gyms, Universities, Schools and Colleges, Hotel Gyms, Boutique Fitness Studios, Student Accommodation Gyms, Corporate & Company Gyms, CrossFit Gyms, Gym Chains and Franchises and Residential Care Homes. As well as renewing a partnership with Pure Gym, Britain’s biggest gym operator, to produce their annual PT Conference, BP: Fitness Trade Show will also offer delegates workshops, practical demonstrations and seminars offering advice on business growth, member retention, change of use, profitability, secondary spend and the development of fitness professionals who are the driving force behind new industry investment. To enhance the collaboration with New Events, a dedicated ‘Pool & Spa – Wellness & Fitness solutions in the water leisure sector’ section has been incorporated into the event. This section will showcase products for commercial, consumer and retail operations. It is set to incorporate products from hot tubs, swimming pools and other related solutions that provide a wealth of health and fitness benefits and support the maintenance of them. Other dedicated sections of the BP: Fitness Trade Show will include a Fitness Business School – focusing on marketing, sales, retention and new ideas to grow businesses in the fitness sector; Practical Coaching – featuring equipment and functional demos from leading trainers designed to offer fitness professionals new options and practical application for the benefit of clients and members; BP Nutrition – exploring nutrition solutions for all businesses including healthier menu choices and using nutrition as a key secondary spend opportunity; 50+ Fitness – for Britain’s ageing populous, which is a massive market and active ageing is explored alongside the provision of a well-equipped fitness area in new and existing residential care facilities; Workplace Fitness – to help develop a fitter, healthier workforce for improved productivity, energy and wellbeing. Managing Director Steve Orton revealed that the rebrand is part of a decision to take the rejuvenated LIW to the next level and to specifically target prospective buyers and decision makers from the fitness sector. “We’ve successfully rejuvenated what was a stagnant show since our acquisition of LIW in 2015,” said Steve; “However, in 2017 we wanted to really put our stamp on not just the show but also the industry. It has also been revealed that to provide maximum impact for wet leisure exhibitors, the ‘Pool & Spa – Wellness & Fitness solutions in the water leisure sector’ section of the two-day event has been allocated the ‘best’ location at the front of the show. As well as the location benefits, companies exhibiting in the Pool & Spa section have gained the benefit from a separate pricing structure negotiated by New Events. This has been done to keep in line with their previous pricing at the former UK Pool & Spa Expo and Hot Tub Living Expo exhibitions and is an effort to be extremely competitive. Further discounts are available to companies who have exhibited at previous Pool and Spa/Hot Tub Living events. 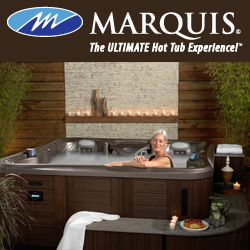 These include the Aqua Warehouse Group, who distribute the L.A Spas and Vita Spas hot tubs and swim spas; Artesian Spas, Hydropool, Marquis, Passion Spas, RotoSpa, Spa Solutions who distribute Alps Spas and Viking Spas; Superior Spas, and Wellis; as well as water treatment specialist O-Care. Aqua Warehouse Group have utilised the fledgling wet leisure exhibition format at every outing since its inception to help promote their services to dealers, including a fledgling Aqua Spas Supplies division, as well as their new blossoming distribution role for L.A Spas; and a wide range of products including the 2017 WhatSpa? Best Buy Award-winning L.A Spas Belmar, L.A Spas San Juan, Vita Spa Voeux, Vita Spa Prestige, and Vita Spa Cabaret. Wellis, meanwhile, have also been one of the major success stories after exhibiting at all of the UK Pool & Spa Expo and Hot Tub Living Expo exhibitions. 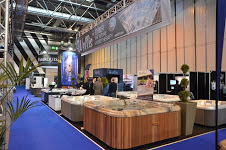 The commitment to consecutive appearances with an ever increasing stand presence, pictured, at the exhibition by the Hungary-based manufacturer has been rewarded with a rapid growth in pedigree dealerships for both the Wellis and Superior Spas hot tub and swim spa ranges, which have gained back-to-back WhatSpa? and WhatSwimSpa? Best Buy Awards in the 2016 and 2017 editions of the consumer magazines, including 2017 accolades for the Superior Spas Dream, and Wellis Discovery Deluxe. New Events, who previously launched and organised the UK Pool & Spa Expo and Hot Tub Living Expo at the NEC, joined forces with the new management team of LIW after last year’s first outing under the name of Hot Tub Living Expo in an effort to deliver what they proclaim to be the UK’s largest leisure industry trade show. In 2016 the event attracted 7,000 attendees and this year it is once again expected to be a key meeting place for top decision makers and influencers with an expectation of even greater visitor numbers, according to New Events Director Claire Saunders. “By joining these events together we are confident of a winning formula which will deliver new and existing contacts to the Pool & Spa sector in particular,” said Claire.